Recommend written by mobile The delivery was a little slow, but the product is good. I'm still getting used to it, but I like it. 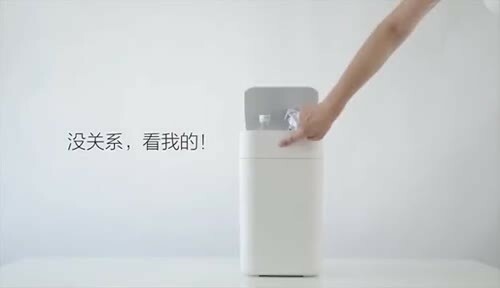 I like the design and it is clean and I also use it with the expectation that the garbage bag is automatically bundled. I got it. I need to get very close to the sensor. It does not work very well. It's fast shipping, and I'll let you do it again. Is the only type of envelope black? Just give me some packs of vinyl. Dear customer, I would like to introduce ourselves as a dedicated vinyl foil. The length of the vinyl foil is 11.5M. There are 30 pieces. We can use it for one month. I only got one trash. Hello, I have sent you separately, you will be able to receive it in a few days. After 2-3, did you answer? After 2-3 weeks? Hello you, I will send it out after 2-3. I received the goods you sent me well. Do you sell garbage bags separately? Hello, I'll ask you tomorrow and let you know. I ordered two, do not you really send one? Did you send it? If you have not yet shipped it, I'd like to ask you to give us a partial refund. I'm really tired of waiting. I will send the invoice number every time I inquire, I extend the time that I will send it to you tomorrow. If you are not sure, I will put a claim on Q1000. Thank you very much, I have already sent it, I have already sent it, it will take 3-7 days. I really hope that you will see it once, I have done my best, I'm sorry, I sent it yesterday.